In Cataracts, you will see a whitening in the center of your pet’s eye. The lens is the structure which sits in the middle of the eye and focuses light. It will become cloudy, no longer being clear. In most cases you may not notice any changes, except seeing the cloudiness. In other cases you will see that your pet doesn’t see as well at night. In some cases of severe cataract formation your pet will become blind, although this usually only happens in pets with diabetes. The lens gets infiltrated with inflammatory cells, causing it to become cloudy. This typically happens with age. Your older dog develops a condition called ‘Senile‘ Cataracts. The lens ages, and becomes cloudy. Other common causes of cataracts are diabetes mellitus, and any other condition which produces inflammation in the eye (i.e. such as Glaucoma). The 12 antioxidants in Ocu-GLO Rx act synergistically to support canine eye health. The first three, Grapeseed extract, Lutein/zeaxanthanin, and Omega 3 fatty acids (GLO), are combined in a proprietary blend in the optimal doses for canine eye health. -DHA is delivered to the retinal tissue, where it is incorporated into the photoreceptors (rods and cones) for use in vision physiologic function. 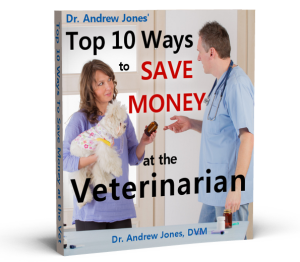 Heal Your Pet At Home! P.S. If your dog has cataracts, I would urge you to consider using this product- it would need to be ordered through your veterinarian. This is just a comment about the photo of the eye. What I see in the centre is an image of an angel. Maybe it’s silly but that was the first thing that caught my “eye”. Do you see it? 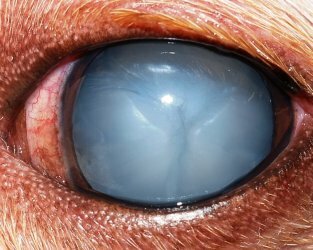 Would this help a dog with eye problems due to leishmania, and is it available in Spain? Is there a less expensive alternative to Ocu Glo on the market yet? It’s cost prohibitive for my huge English Mastiff requiring 4 pills a day/90 capsules per bottle.